High Class realty SB is a passionate and professional team of 25 agents. We specialize in residential and commercial sales and rentals. We gathered an excellent reputation by always putting the client first. We keep the client happy through hard work, meeting our goals, and exceeding high client expectations. We match the right buyer with the right seller with remarkable success! We provide our clients complete information on how to sell and buy properties. We believe in Transparency and Accountability, because it builds trust. If you hire High Class Realty sb agent to sell your property, we promise to sell quicker as we are experienced and sophisticated marketers. If you hire us to represent you as a buyer we will save you money, time, and aggravations. There is no cost to you if we do not produce the result! We provide our clients complete information on how to buy and sell properties and handle other real estate associated matters we provide. 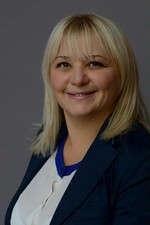 I, Svetlana Borovskiy have been in the Real estate business since 1998. Combining my knowledge of the market with a passion for helping people, I decided to get a Real estate license in 2006. After 1 year of being the top agent/producer in an office of over 30 agents, I decided to open my own office High Class Realty Sb. We now have a close knit team of 25 dedicated agents who are knowledgeable, professional, dedicated, responsible, hardworking and always ready to do extra steps for our clients and customers. We take pride in our high standards and business relationships. Please call us now at 718 333 0700.